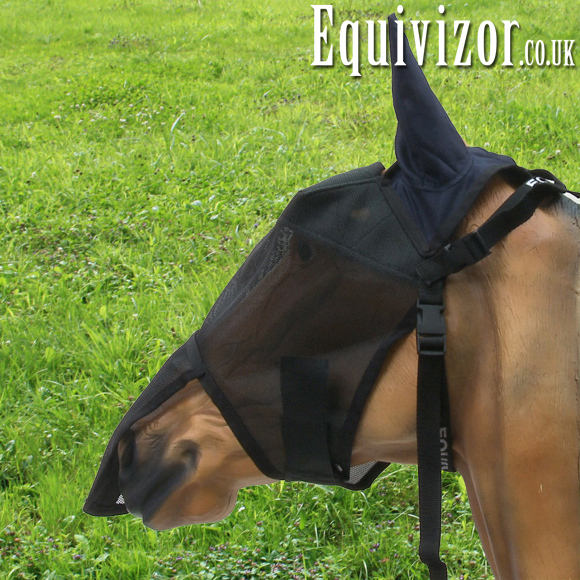 The Equivizor Fly Mask (with nose flap and ears) enables your horse to enjoy effective protection against flies and the ever-present issue of insect irritation. 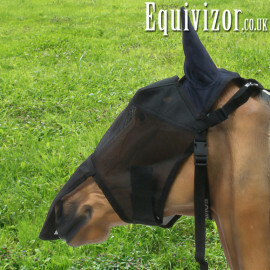 Equivizor Fly Masks are highly ventilated, protective shields that are washable, durable and lightweight. 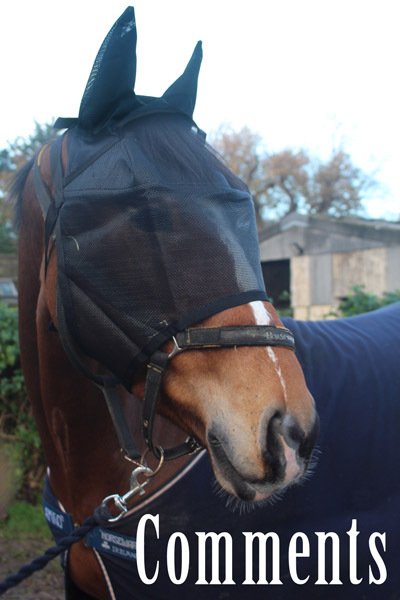 The Fly Mask positions to sit up off the horses face, preventing folding onto the eye and ensuring greater comfort. The EVA lining acts as a barrier against the heat of the sun while promoting a suitable level of airflow around the eye region. This soft EVA lining prevents laceration of the cornea, insulates the forehead and shades the eyes. Three strategically located darts create a cantilever to lift the EVA liner and the outer mesh. Naturally, only UV proof PVC mesh is used in the construction of the Fly Mask. A thick 3mm, soft EVA lining on the underside offers maximum protection from the brow line to just above the eyes. 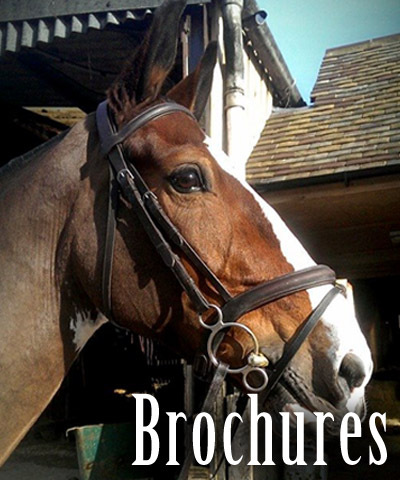 The fly mask is available in sizes foal, pony, cob, full and extra large. Four styles are available: standard; with ear guards; with nose flap; and a fully protective style with both ear guards and nose flap.